La Torre del Sol is a luxury camping site defined by an amazing climate, beautiful beaches and a host of modern conveniences that are perfect for the entire family. Those who wish to learn more should contact LUX-camp at their earliest possible convenience. 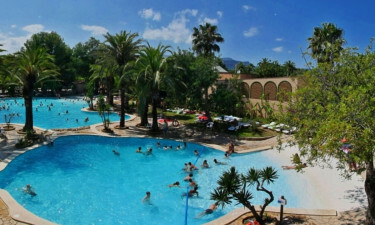 Why Should I Consider the Holiday Camping Site of La Torre del Sol? The ability to enjoy a stunning Mediterranean climate. A short distance away from thermal baths. No Mediterranean camping holiday would be complete without enjoying access to what can only be called some of the most stunning beaches on the planet. Due to the location of La Torre del Sol within the temperate region of Catalonia, guests have access to warm waters and clean sands. Not only is this perfect for a family to enjoy, but activities such as swimming and sailing are only moments away. When visiting here during the summer months, endless hours underneath the warm sun are always a reality. Another notable feature of this luxury camping destination is that guests are able to experience many of the most contemporary features and privileges. Modern conveniences include LAN Internet access, dedicated power supplies to mobile homes, waste disposal facilities and washing machines. Such camping luxury is likewise ideal for those who are planning to arrive with children. Baby changing rooms are offered as standard while entertainment for the younger generation is provided within this entire luxury camping package. La Torre del Sol provides its guests with a kaleidoscope of unique activities to enjoy during their stay. An on-site pool is available for those who wish to avoid the salt water. Fans of golf will be pleased to know that miniature golf is located within the camp while a full golf course is found only 5 kilometres from the site itself. Other leisure activities include sailing, tennis, table tennis and bicycle hire. Another convenient aspect of this holiday camping site is that visitors can enjoy bars and restaurants without having to leave its confines. 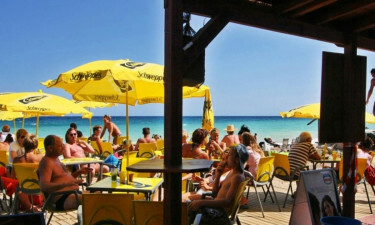 Examples here include Bar Terraza, Beach Bar La Torre del Sol, Pizzeria de Cueto and La Torre del Sol Pub. There is even an after-hours spot known as La Ra Nightclub. Each boasts is own particular ambience and some locations provide takeaway services for those who enjoy the peace and quiet of dining with their family. Camping in luxury is even more pleasurable thanks to a shopping centre that is located within the camp. 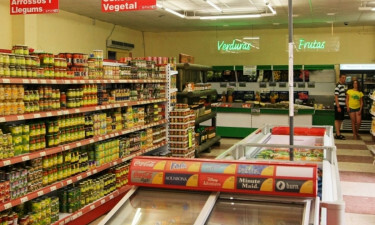 During the peak tourist season, this supermarket will stay open throughout the entire day. A bakery is present and smaller shops provide tourist souvenirs alongside international newspapers, postcards and gifts for children. This is another advantage of La Torre del Sol. No longer will guests have to travel for miles to find the products and foods that they desire the most. Please speak with a representative from LUX-camp to obtain more information.